You may have heard of the term malpractice, either in the context of insurance or in reference to a type of lawsuit. But what is malpractice, exactly? Malpractice occurs when a professional fails to act in accordance with the standard of care or standard of conduct established by his or her profession and someone is injured or harmed as a result. The malpractice can occur through an error, negligence, ignorance or intentional wrongdoing on the part of the professional. b) that the professional in question acted outside that established standard. Malpractice cases almost always require expert witnesses to establish the standards that applied to the professional in question. 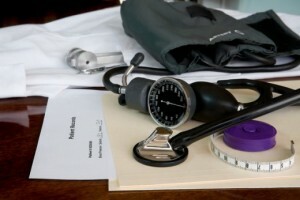 Medical malpractice is one of the more common forms of malpractice. This generally occurs when a doctor or surgeon injures or harms a patient through some act or omission that does not meet the standard of care set by the medical profession. Other professionals that are held to a standard of care or a standard of conduct include lawyers, dentists, accountants, engineers, architects, and veterinarians. Because these professionals are at risk of being sued for malpractice, they generally obtain malpractice insurance. In Canada, professionals are often required to have malpractice insurance as a condition of obtaining and maintaining their licenses or credentials. Each profession has a licensing or governing body, which determines the particular rules that will apply to that profession. For example, Ontario doctors are governed by the College of Physicians and Surgeons of Ontario. The College requires doctors in private practice to have malpractice insurance, which is available from the Canadian Medical Protective Association. Similarly, lawyers throughout Canada are required by their provincial Law Societies to maintain professional insurance through a specified insurance company. So, what is malpractice? Essentially, it is the failure of a professional to live up to our expectations of someone in that profession, which failure causes harm to another person. Malpractice law can be one of the more technical types of law to practice. If you think that you have a legal claim for malpractice, it is important that you see a lawyer with experience in that area of law.